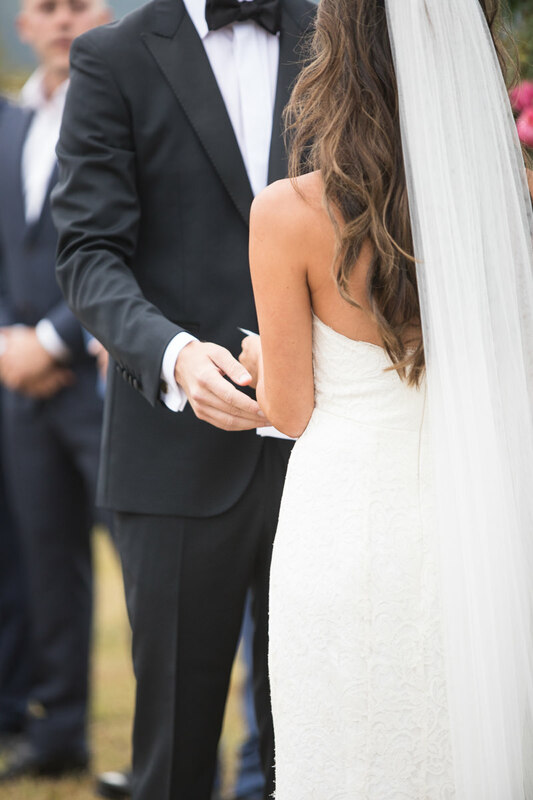 Danielle and Derek are one of those couples that are just so happy and so sweet together. 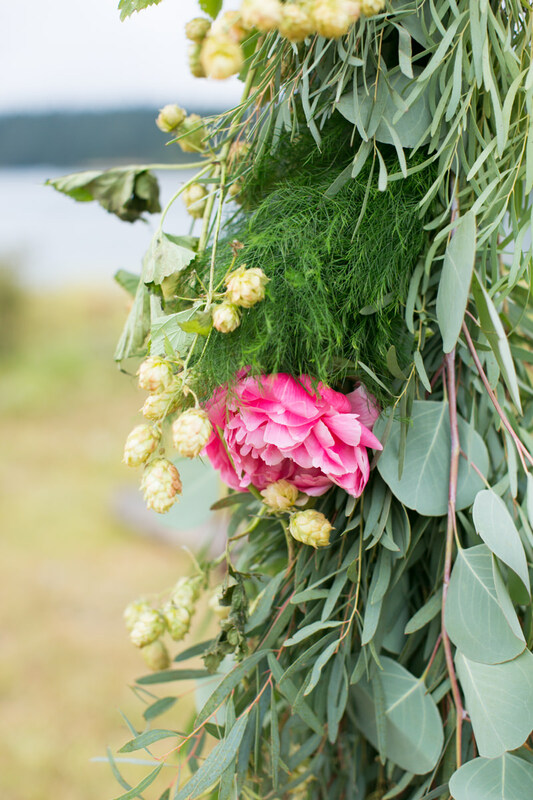 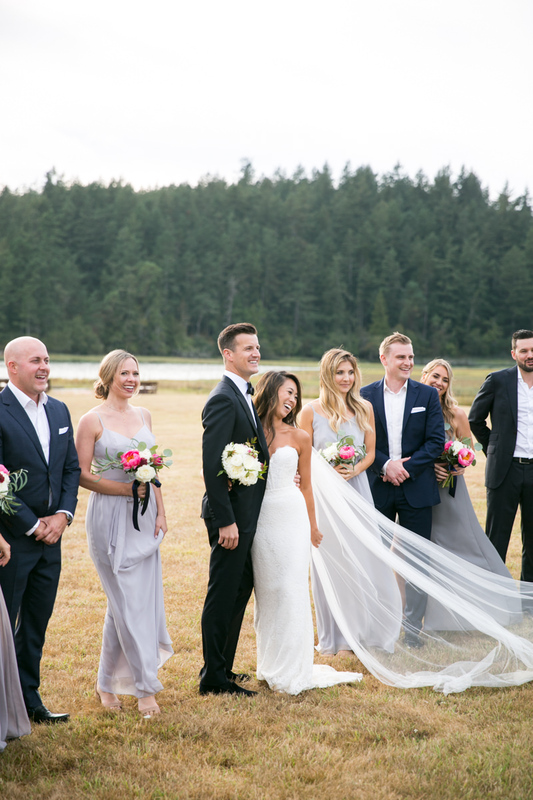 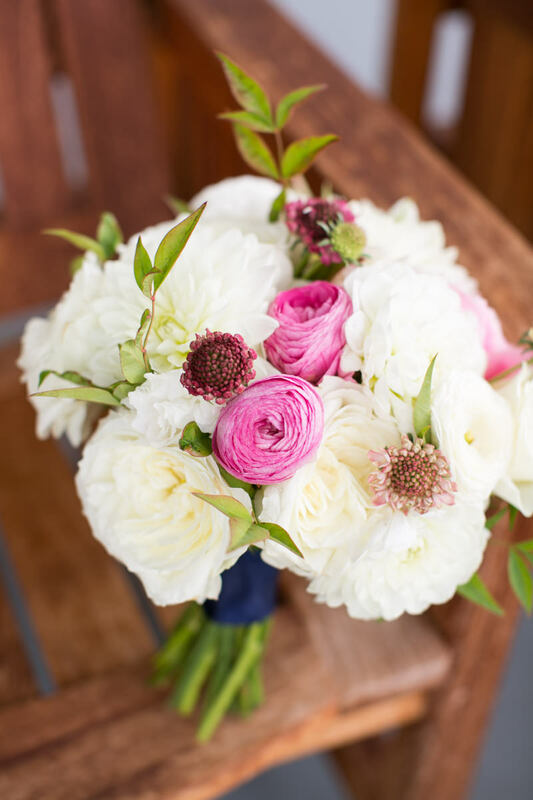 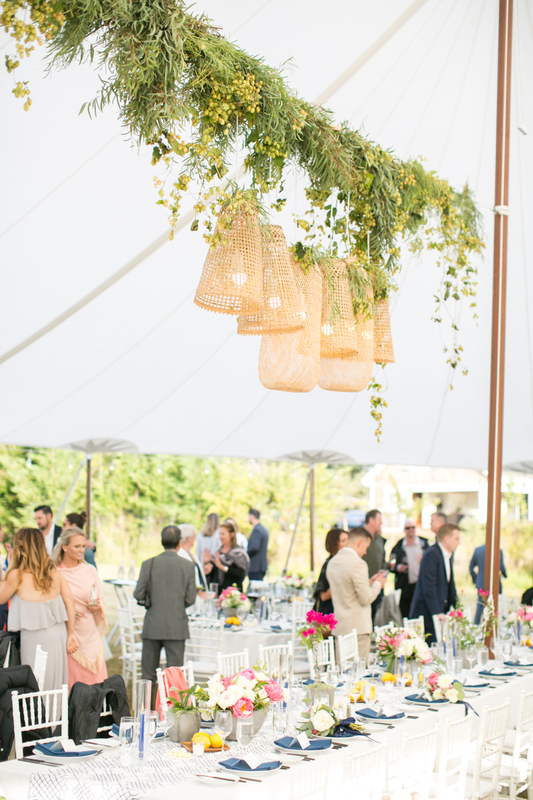 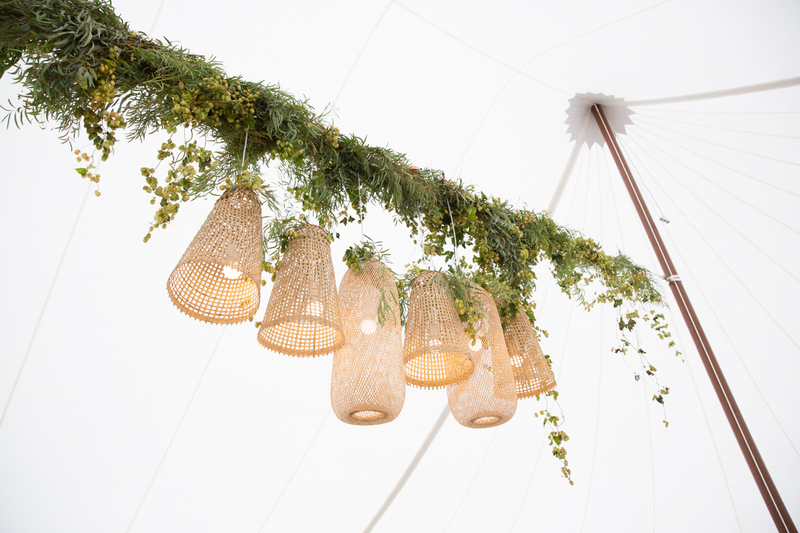 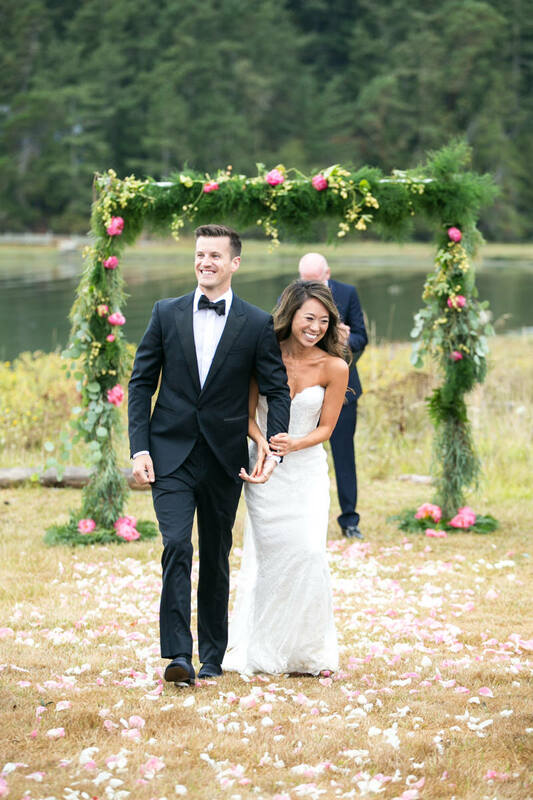 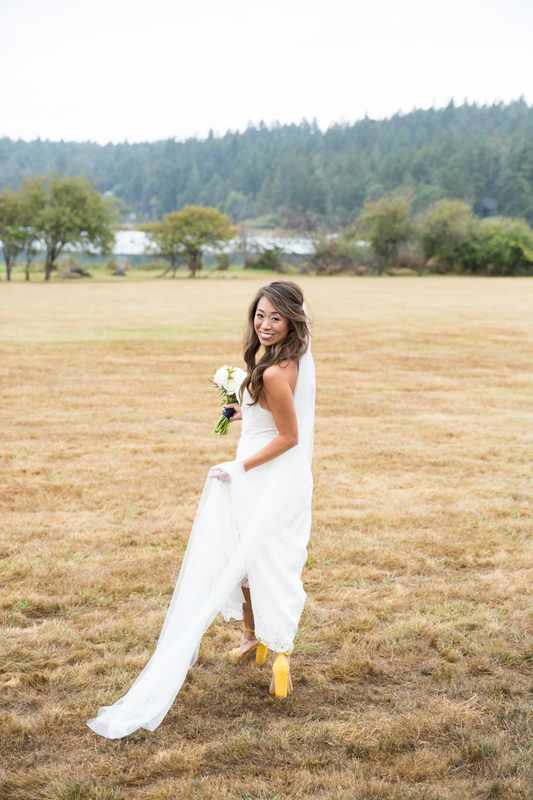 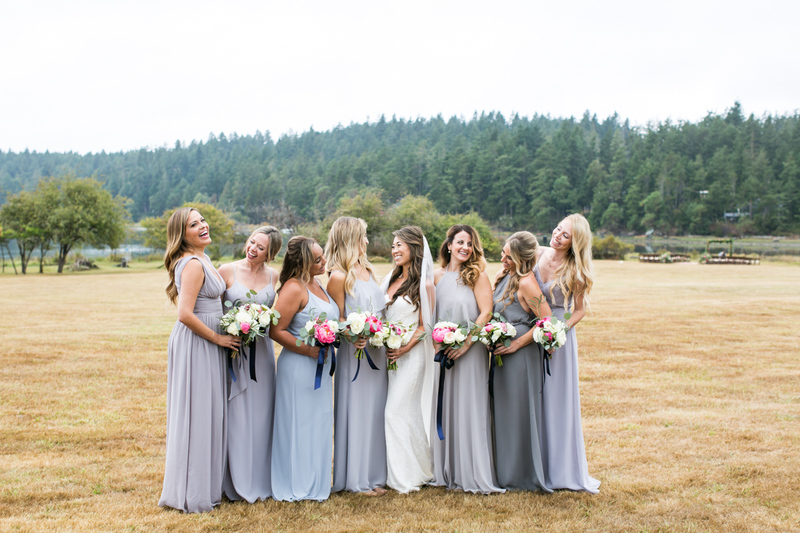 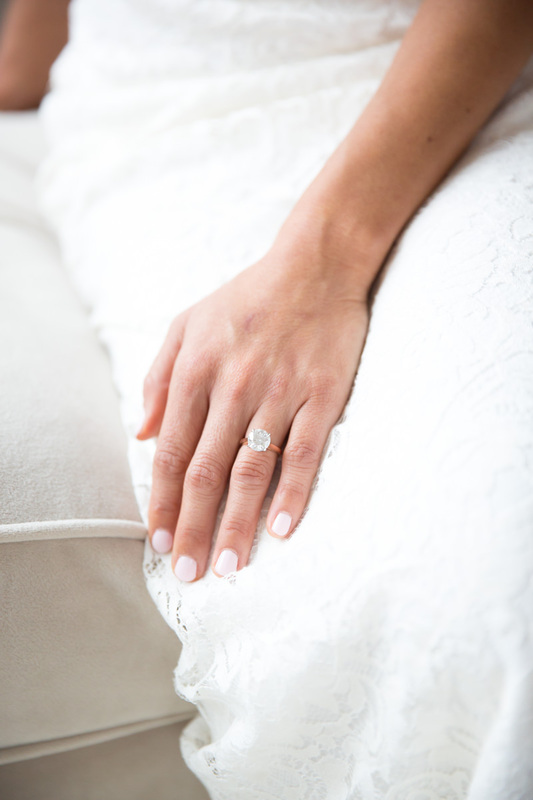 Danielle moved to Seattle to be with Derek, and it was our mission to incorporate vibrant colors, textures, and elements from her native Southern California into their private island estate wedding in Washington. 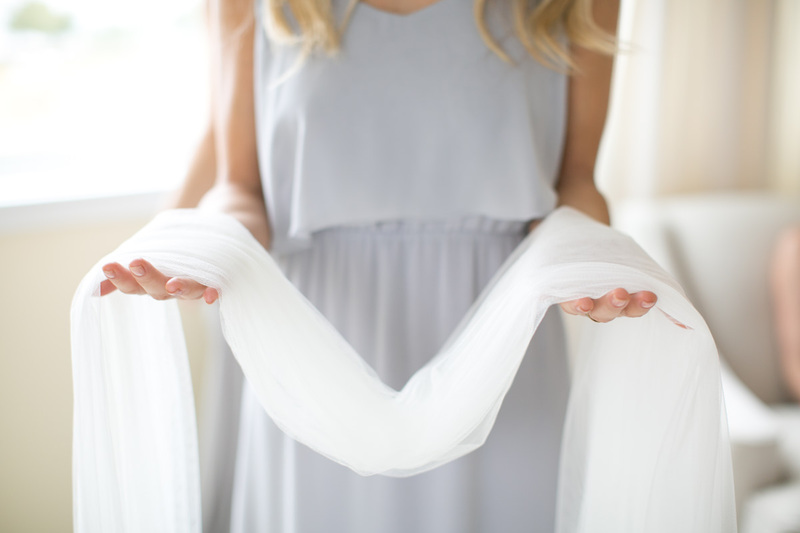 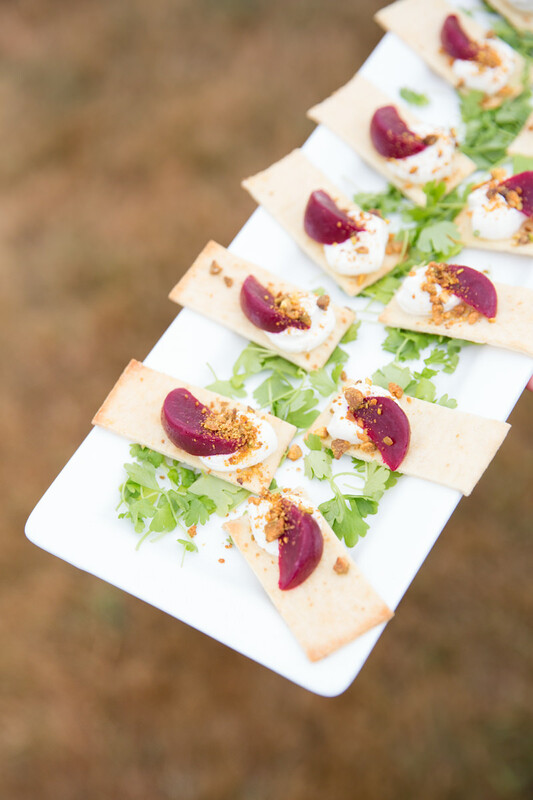 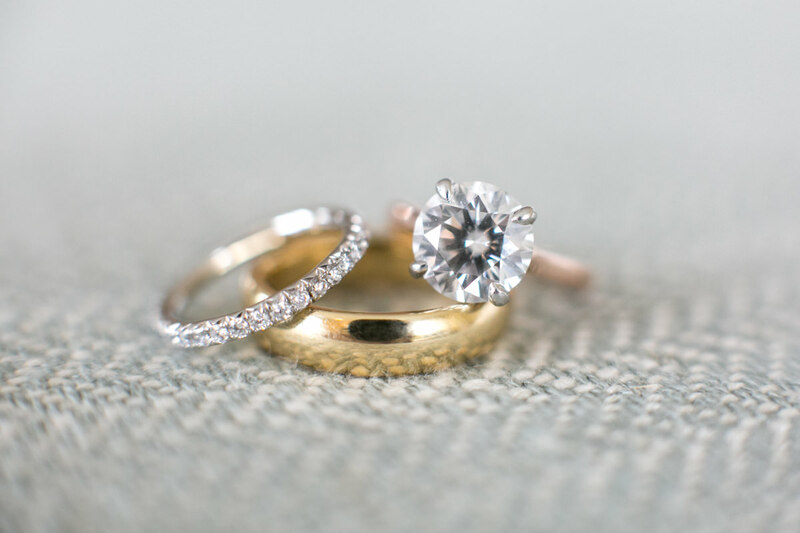 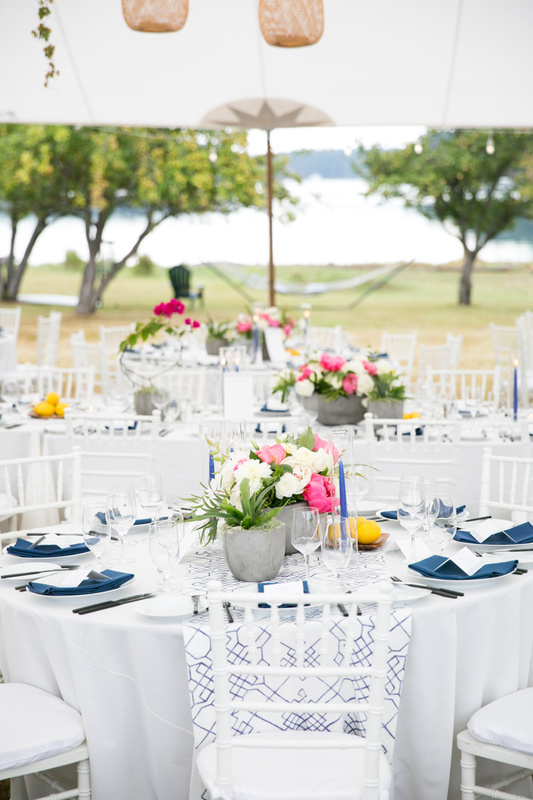 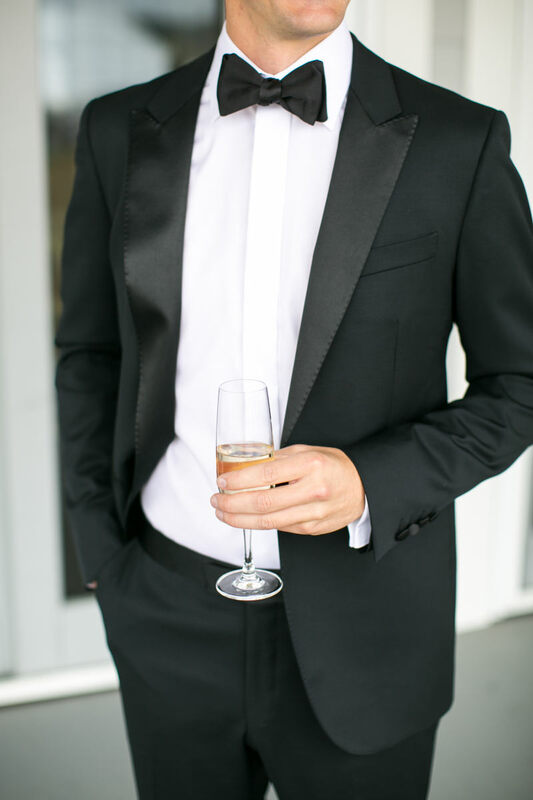 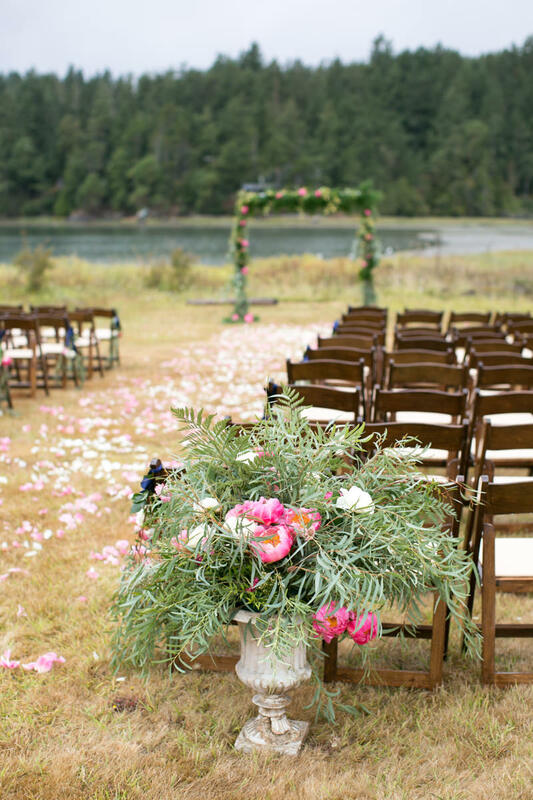 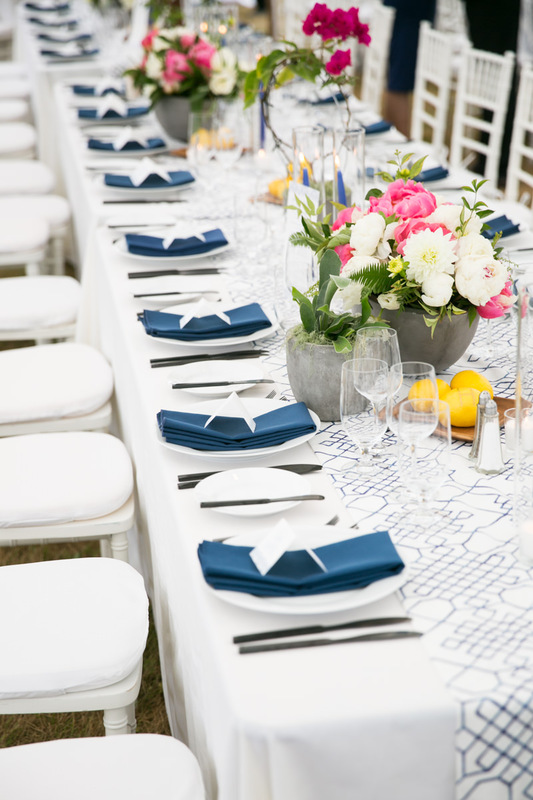 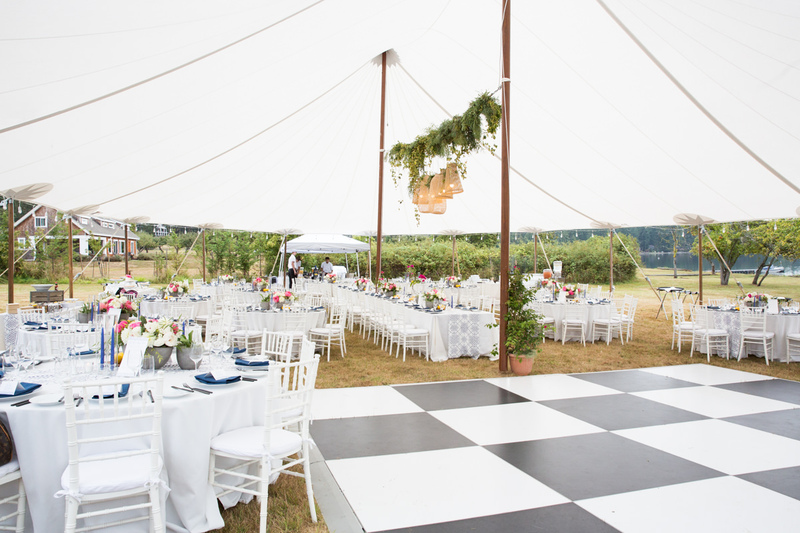 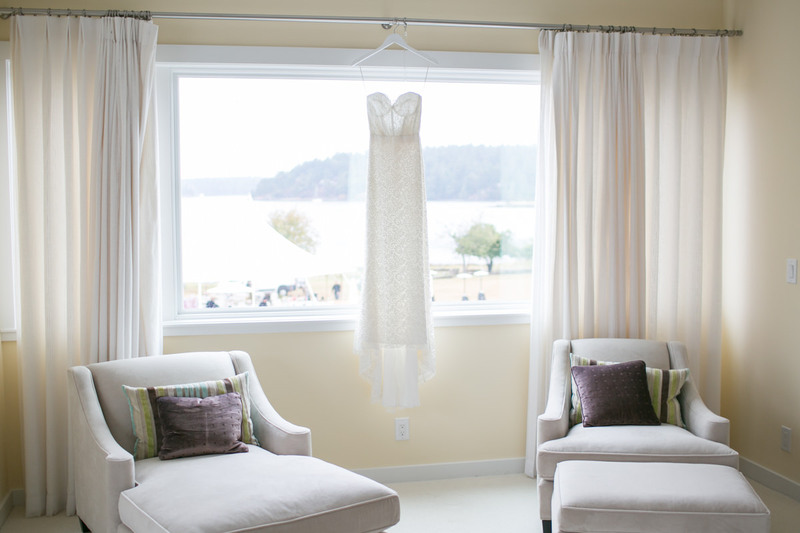 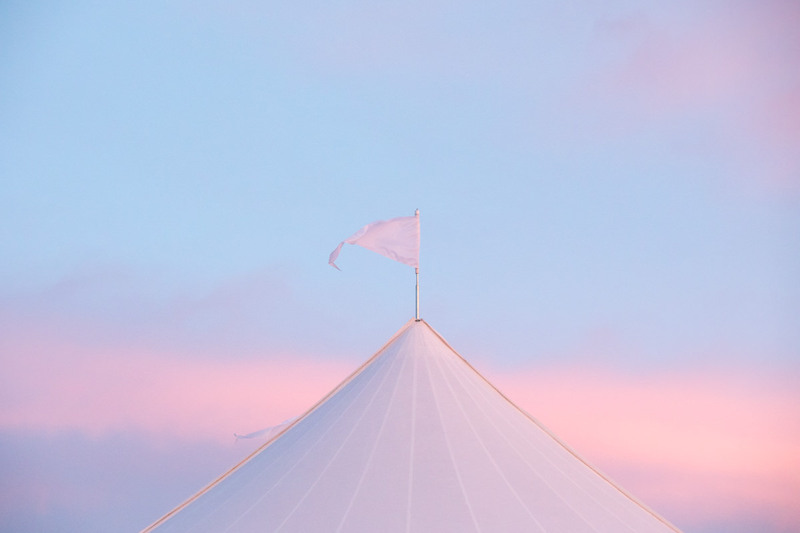 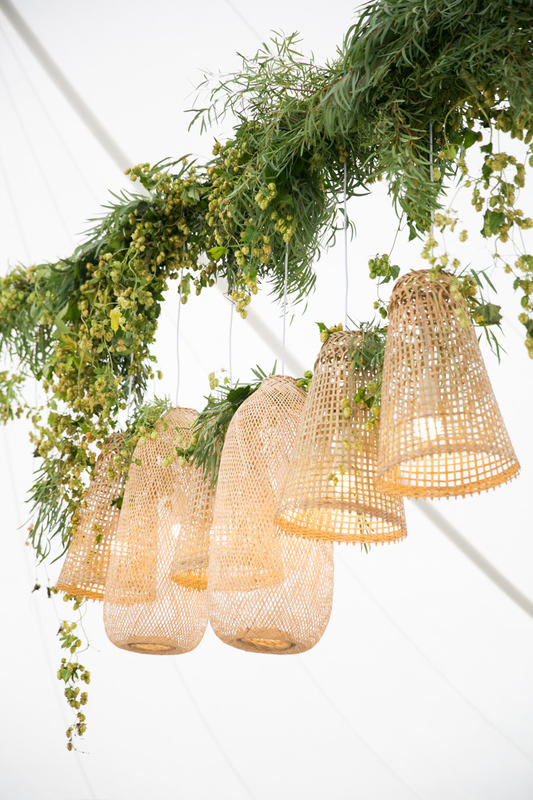 We achieved this by starting with a crisp and clean canvas with a sail cloth tent, white chairs, and crisp linens. 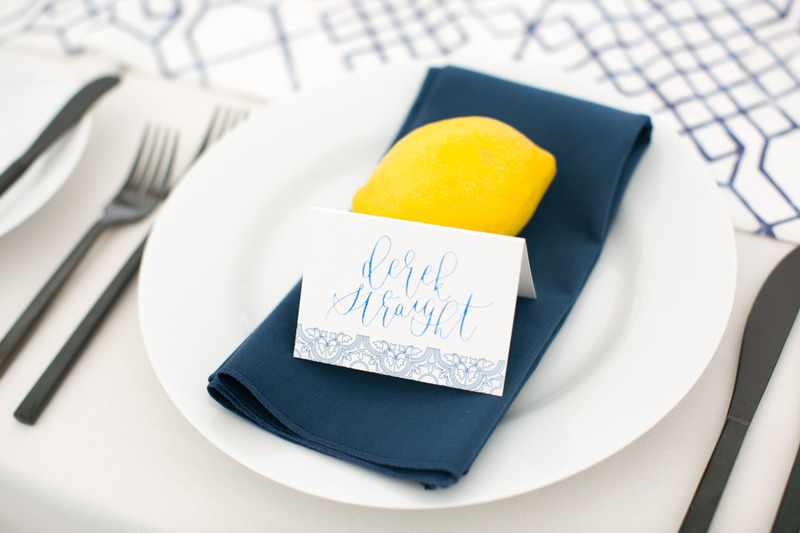 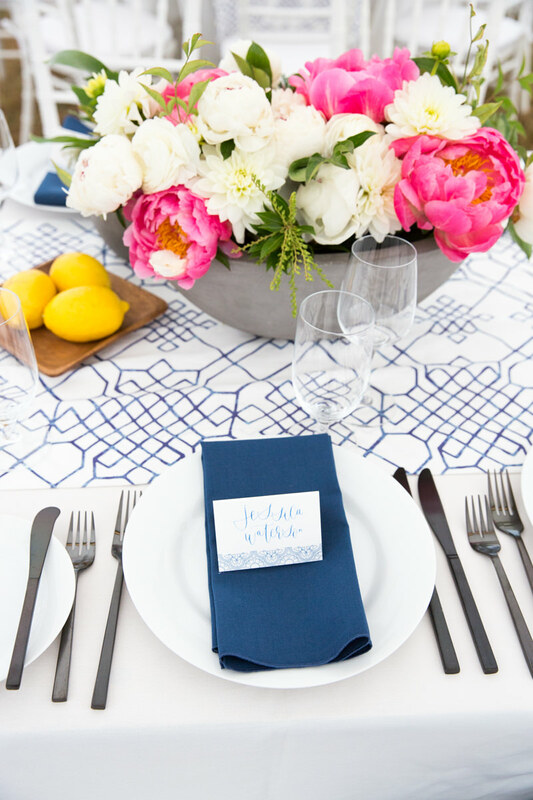 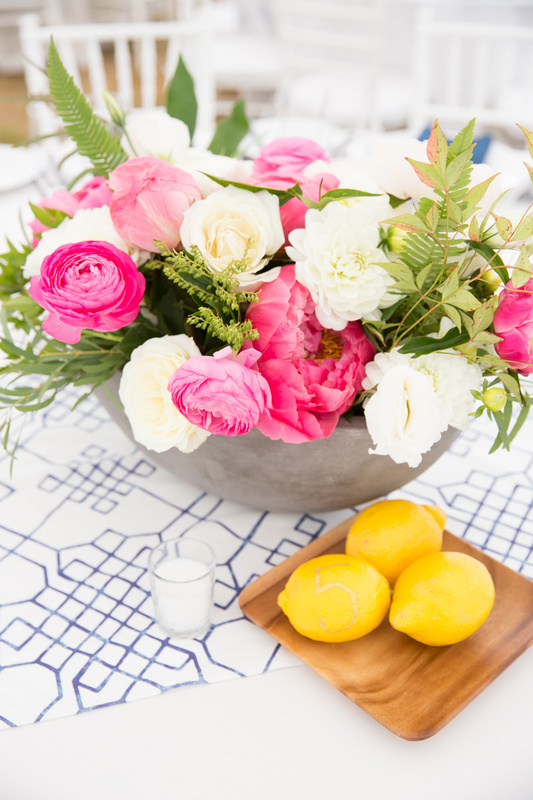 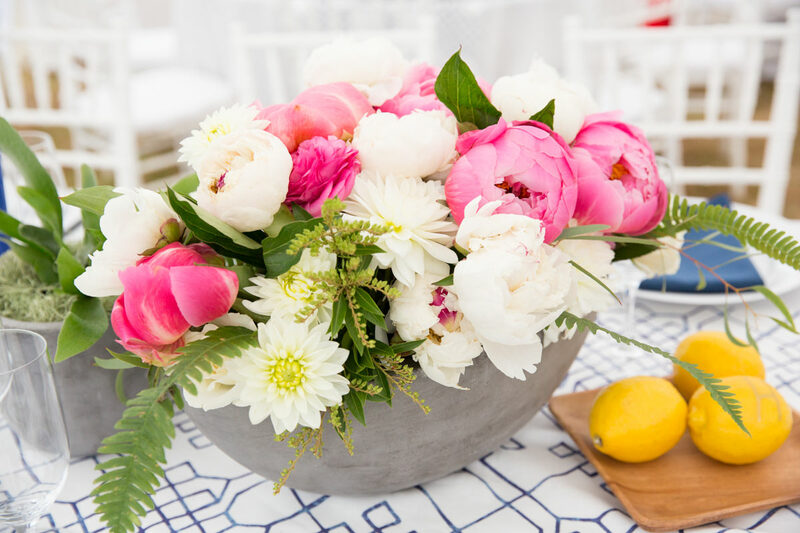 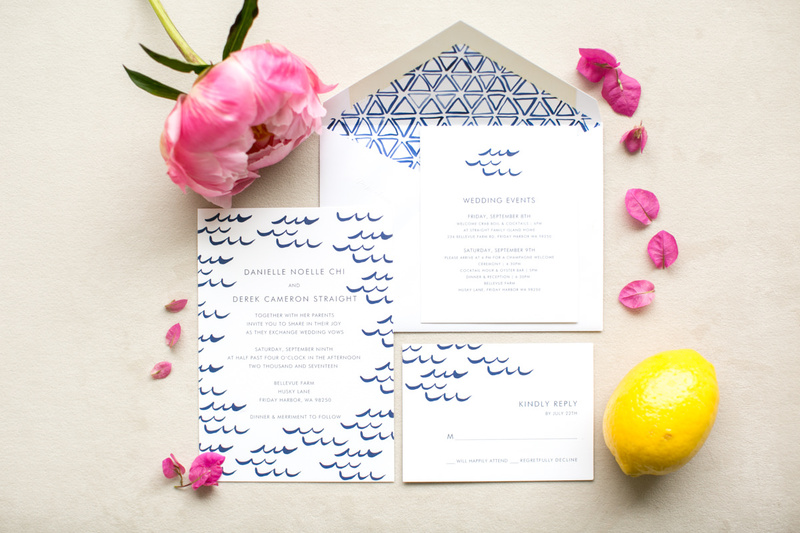 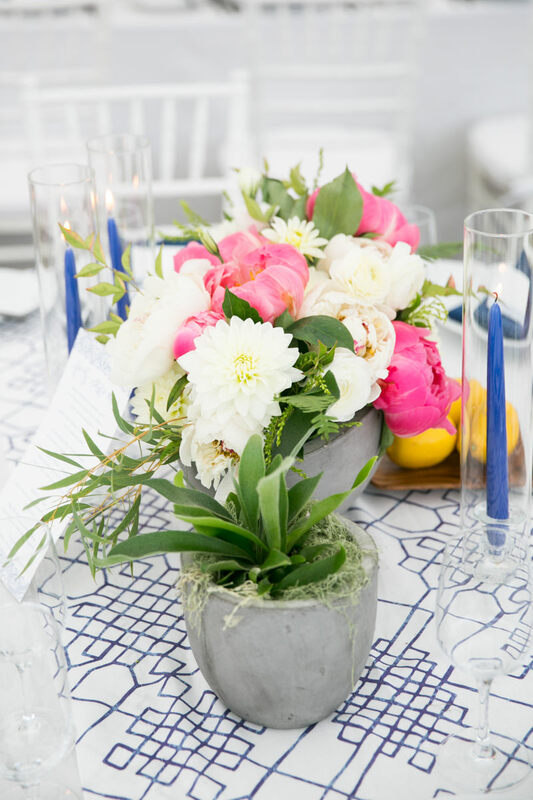 We layered cobalt blue into the tables with runners and napkins, stacked lemons on wooden plates, and peppered in bright pinks with peonies and bougainvillea – native to SoCal. 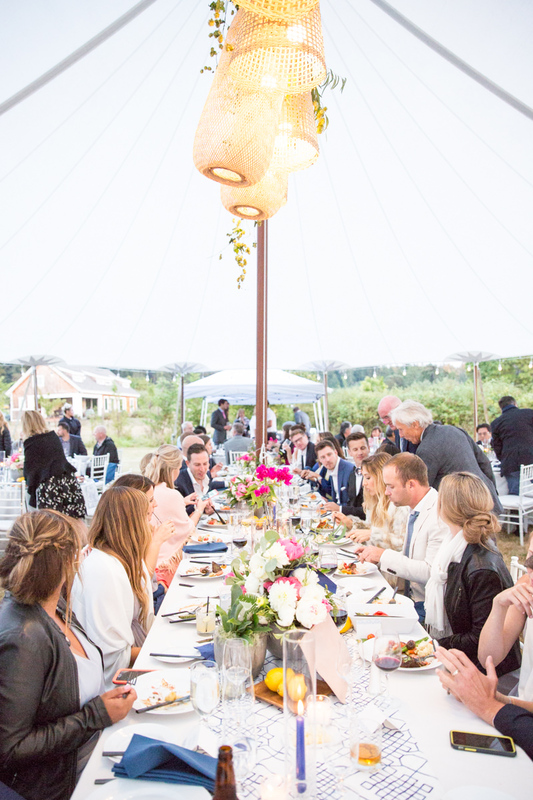 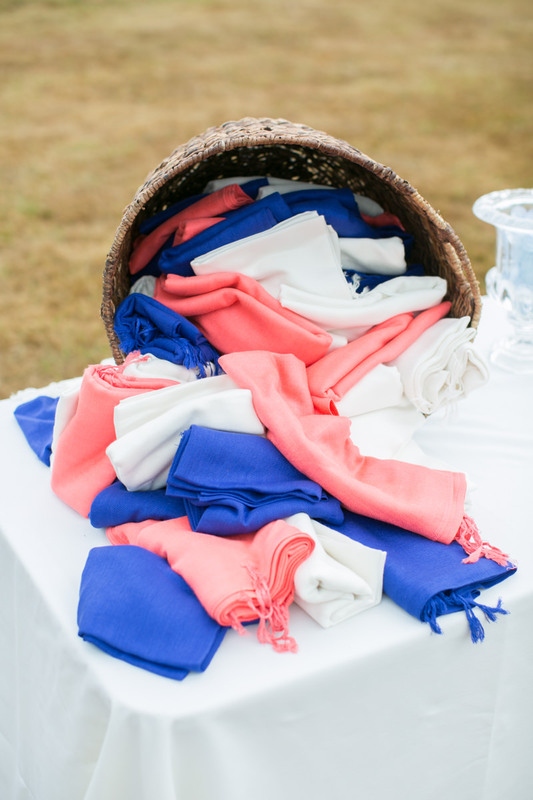 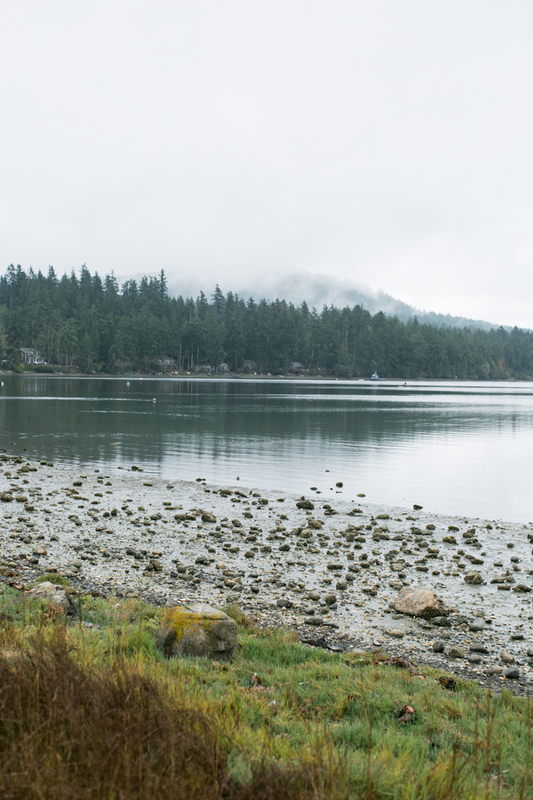 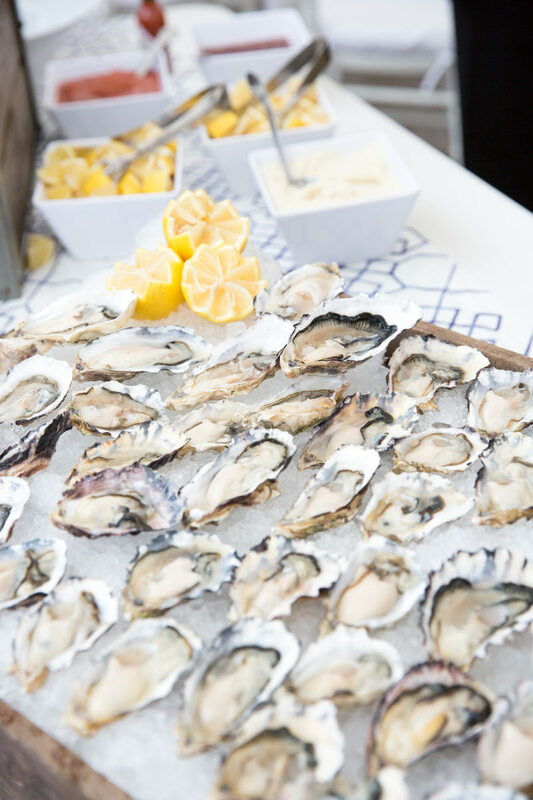 The entire weekend was a celebration, with guests traveling to this small island and celebrating over a crab boil welcome party and dancing into the wee hours on the wedding night.